The high level functioning of your payroll department or payroll service provider is an essential need for your business today. Aspects of payroll can be complex and require a high attention to detail to process. Individuals involved in the payroll function will concede that the only way to ensure that the payroll is run correctly is to put their heads down, close the door and place a “do not disturb” sign on the outside. One small interruption and cause errors to occur and when your employees’ salaries and wages are on the line, there is no room for mistakes which are unprofessional and can be costly to solve. If your business is still using an on-site or manual payroll system and you are considering the move to a more advanced payroll system, you might wonder if it is worth the cost and the energy involved in setting up a new payroll system. Rest assured that the pro’s of migrating your company’s payroll to a new off-site, cloud based system, out-weigh the con’s ten-fold. Pay Solutions offers all of the benefits of an off-site, cloud based payroll, backed by decades of professional knowledge and experience to guarantee you that your decision to migrate has the maximum benefits to your company and for your staff. If you are in two minds as to whether to make the move over now, then here are some aspects to consider. Consider the large number of resources which are required to run a manual payroll. Manual systems take longer and leave more room for human error. So not only do you require a larger head-count to manage the payroll but the investment in time is something to consider. Staying up to date with new legislation is vital if you are running a manual payroll. Legislation must be accurately adhered to and if not, employers will find themselves at the receiving end of the wrath of their employees as well as SARS and the Department of Labour. Compliance is all important. Human error once again plays a role in keeping up with, application and maintenance of all aspects of the payroll, of which there are many. An off-site payroll is automatically updated when legislation changes. These changes are performed in the back-ground automatically and require no additional application time. Anyone who has ever had to produce a report or provide stats based on large numbers of manually captured spreadsheets knows the time and level of accuracy which is involved. Reports are only as good as the data that has been captured and the relevant information they provide. The truth of garbage in and garbage out is nowhere more apparent than when it comes to reporting. The ease and accuracy of reporting is unfounded. Make your own reports or choose from the lists of standard reports, either way you are assured of accurate information that is relevant to your business needs. 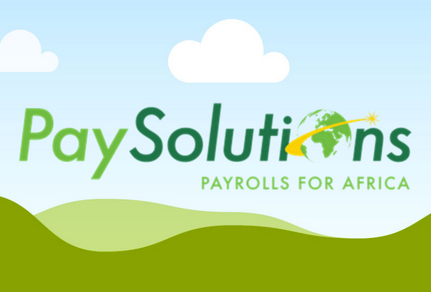 Pay Solutions Cloud payroll will revolutionise your company’s payroll system and save on time, resources and add value to aspects of your business that you didn’t even realise it could.